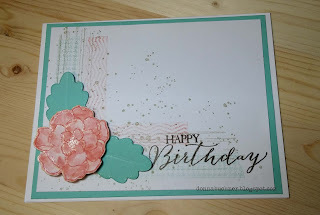 Stamp sets used are from Stampin Up: Gorgeous Grunge, Tape it, Secret garden stamp & die, and the leaf die from Flower Flair set. I used a waterbrush and Calypso Coral to "paint" the flower. I then edged with the wink of stella. I will be back soon to share what we made at our stamp club group. Until then take care and have a great weekend! Ooooh, my! This is a BEAUTY, Donna! 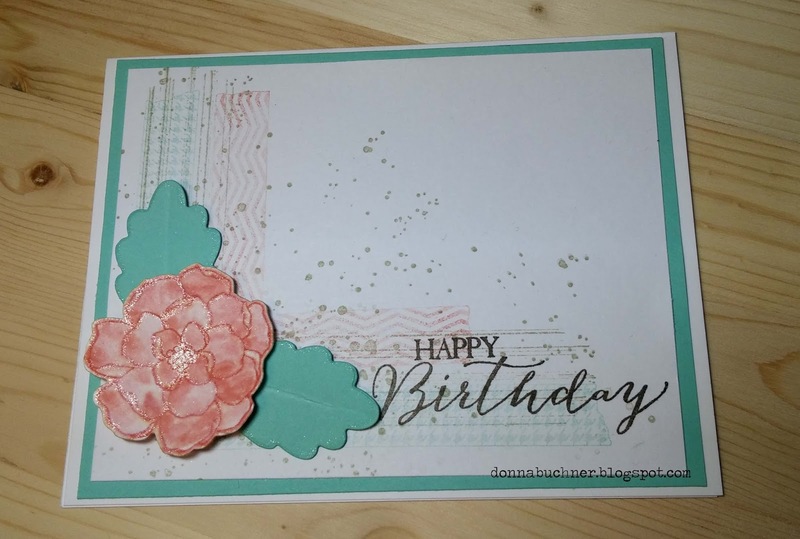 Love the background -- the splatters...the faint "tape" stamping...and the flower is LOVELY! I love EVERYTHING about this card, my friend!